We haven’t talked about this in a while here, and probably with good reason. 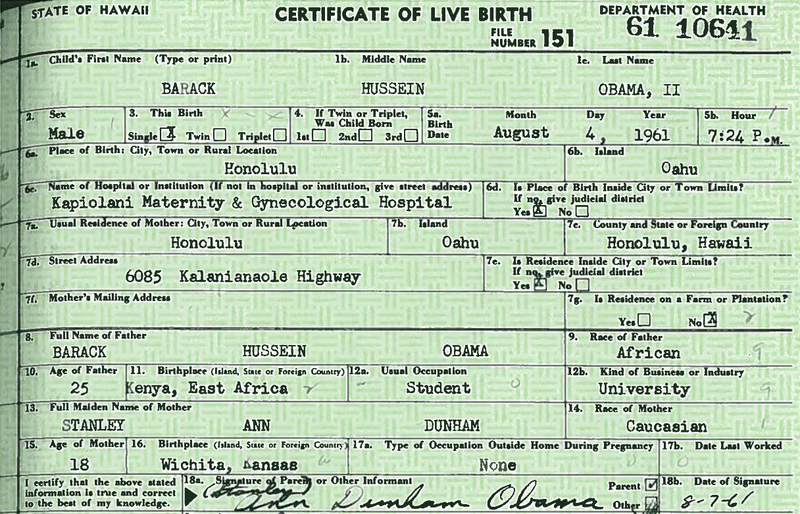 Once I saw the birth certificate and newspaper clipping showing our current president was born in a hospital in Hawaii it seemed pretty clear to me that Barack Obama was qualified at birth to run for president once he turned 35. But others who continue to fight this battle want clarity on what it means to be a “natural born citizen.” Tracy A. Fair is one of those, and in a press release which follows this post she makes the case that the Supreme Court needs to define it. She’s using that question to challenge the presidential candidacies of Florida Sen. Marco Rubio, Texas Sen. Ted Cruz and Louisiana Gov. Bobby Jindal. Some years ago there was talk of revisiting the whole requirement about being born here to qualify as president. This was when some people were seriously talking about Arnold Schwarzenegger as a presidential candidate. What do you think? Is this requirement outdated? Should there be other requirements in place instead?